Kourtney Kardashian is featured on the cover of GQ Mexico this month! Kourtney Kardashian is used to living in the public eye. It’s how she decides to use that sphere that enthralls millions of followers and fans every day. The Keeping Up With the Kardashians star explained that she and her kids “try to have private moments when everyone leaves the house,” including camera crews for the show. As the star of a reality show, Kourtney also knows what it’s like to have the cameras constantly rolling on her. While she has gotten used to it to a degree, she admitted that “there are times” when she really does care about what’s being said about her. “I have to constantly practice self-confidence and remind myself that negative comments come from people who do not really know me or are in my situation,” she told the magazine. She tries to maintain a “positive attitude” about parenting on television and paparazzi who follow her and her kids. “I tried to understand that the photographers are doing their job and I stopped paying attention. That improved the situation. I realized that my children are eating my energy,” she said. Read the (spanish) magazine and check out the photoshoot below! Hi dolls! 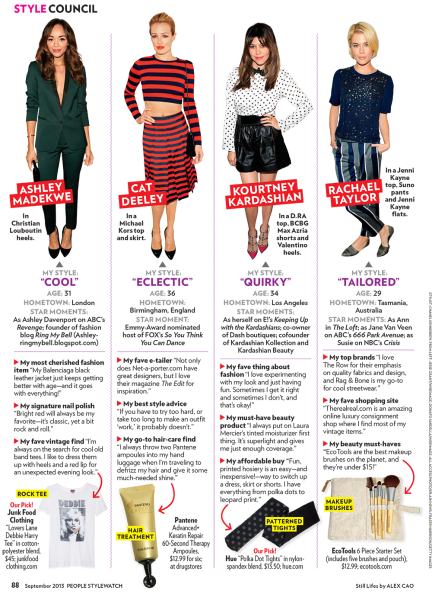 I’ve uploaded magazine scans of Cosmopolitan October 2016 edition featuring Kourtney to our gallery! Doesn’t she look AMAZING!? Enjoy reading! With all the dining out and crazy travel schedules, it’s a wonder Kourtney Kardashian is able to maintain a healthy diet. However, in the September/October 2014 issue of Natural Health magazine, the “Keeping Up with the Kardashians” starlet confesses she’s definitely focused on taking good care of herself and her family. 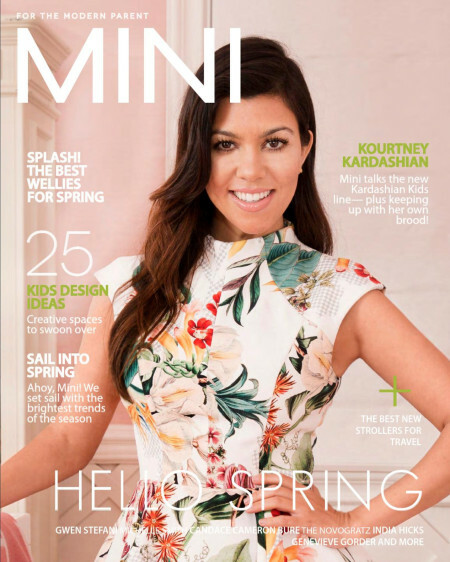 Kourtney Kardashian is featured in this spring issue of Mini Magazine. The mother of two recentl invited Mini Magazine inside her Calabasas home to chat all things mommy chic, the new Kardashian Kids line and keeping up with her own mini brood. Read all about it in our gallery! It’s People StyleWatch’s September issue and we’re introducing the “Celeb Style Council,” 10 of the most stylish celebrities who will lend their advice, share tips and insider tricks with StyleWatch readers every month. Kourtney Kardashian has been named one of the members of the first-ever Celeb Style Council for her stylish ways and social-media savviness. Look for fashion and beauty tips from Kourtney to appear in the magazine each month, and check out PeopleStyleWatch.com for photo galleries, Q&A’s and more. The new issue of People StyleWatch, on-sale nationwide August 16. Thank to Katherine from PEOPLE StyleWatch. US Weekly has Kim Kardashian on the cover of this weeks issue (May 20) and inside a 8 page spread with exclusive photos from The Kardashian/Jenner family vacation in Greece! Go pick up your issue, on news stand now, or you can read the scans in our gallery. Yep, you read that right. The celeb sisters we’re all obsessed with – the Kardashians – are hitting the Fabulous cover this week. We chatted to Kim, Kourtney and Khloe about kids, Kanye and living their lives on TV. READ Why pregnant Kim thinks nothing looks good on her, SEE our exclusive photos from the shoot and WATCH our behind-the-scenes video, only in Fabulous, free inside The Sun this Sunday!